Heralded as one of the most beautiful, luxurious cigar projects ever created, Padron has finally released their masterpiece - Padron 50th Anniversary 'The Hammer'. In 2014, at the annual IPCPR trade show, Padron unveiled 'The Hammer', captivating the entire convention - it's been the talk of the cigar world ever since. Contained in a sealed glass pillar, standing in the middle of Padron's tent, were two of the most brilliant, striking humidors ever made. Designed by Cuban packaging designer Nelson Alfonso, the Padron 50th Anniversary humidors are clean, white, and elegant - they are a sight that truly must be seen to fully appreciate. Contained in every humidor, which are limited to 1,000, are 50 cigars - each numbered sequentially to preserve authenticity. The cigars are an exclussive blend, crafted from special tobaccos that have been aged to a minimum of 10 years. This unique blend is available in a single vitola of 6 1/2' x 52, with either a natural or maduro wrapper. The cigars themselves are a masterpiece in craftsmanship, showcasing some of the most refined and complex flavors you will ever experience - this is not simply a profile that can be laid out on paper. And with a project of such ambitious proportions, Padron has made every effort to ensure a rewarding experience for the buyer. 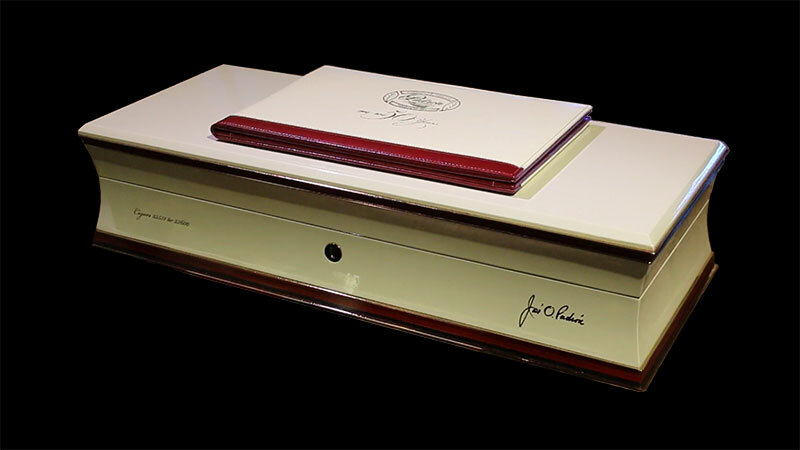 There are only 1,000 humidors being produced, each is numbered and arrives with a certificate that must be registered online. Padron will then notify registered accounts when more cigars become available. 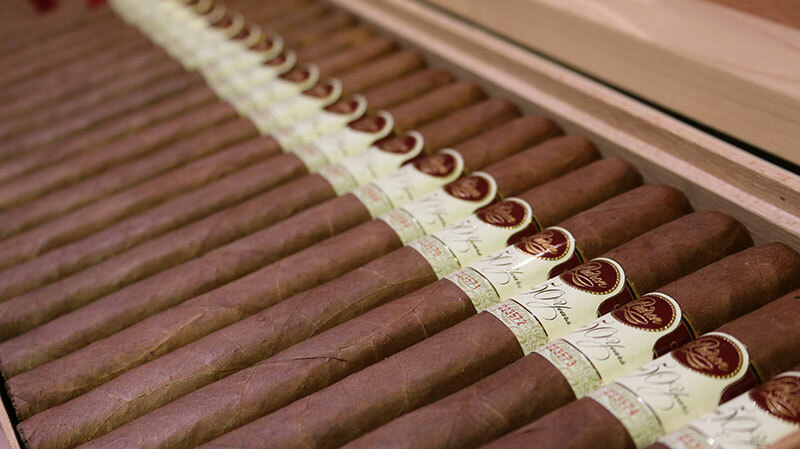 Purchasers will be allowed to buy the additional allotments in 50-count increments for as long as Padron makes them available - it is rumored to be 5 additional shipments. Rights to additional shipments are available only to the owner of the humidor, which can be transferred, shall the owner ever sell the humidor. Additional shipments will be the same blend, though purchasers will be allowed to choose between the natural or maduro wrapper variant. Additional shipments are to be fulfilled by the original retailer, in this case, Smoke Inn, in conjunction with Padron, will fulfill humidor refills when they become available.